Double peach hibiscus blooming mid winter in my bay window. 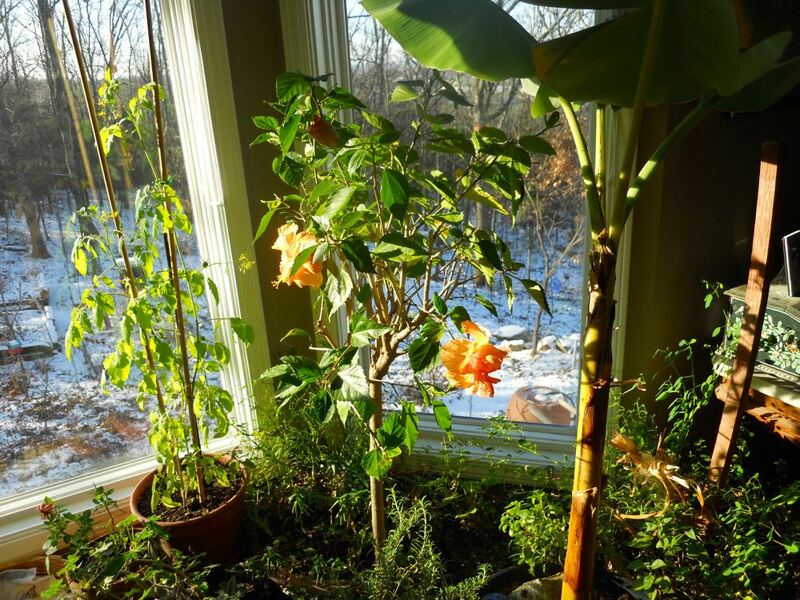 If there is one plant that brightens up a cold, snowy winter day, it's a blooming tropical hibiscus. 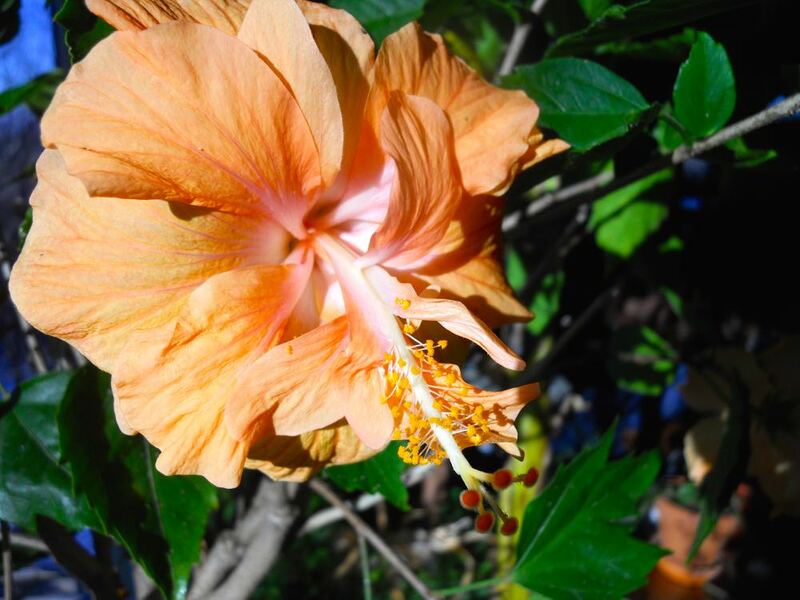 I have several tropical hibiscus plants wintering over inside my house, and I love to be greeted by the bright flowers especially on a drizzly winter day. This one is a double peach hibiscus, rescued from a sale pile at a local garden center a couple of years ago. Frankly I didn't know what color the flowers were. The plant was healthy enough so I took a chance and brought it home to join my other tropical hibiscus or should that be hibiscii. This blooming cycle included a second nearby bloom as well. 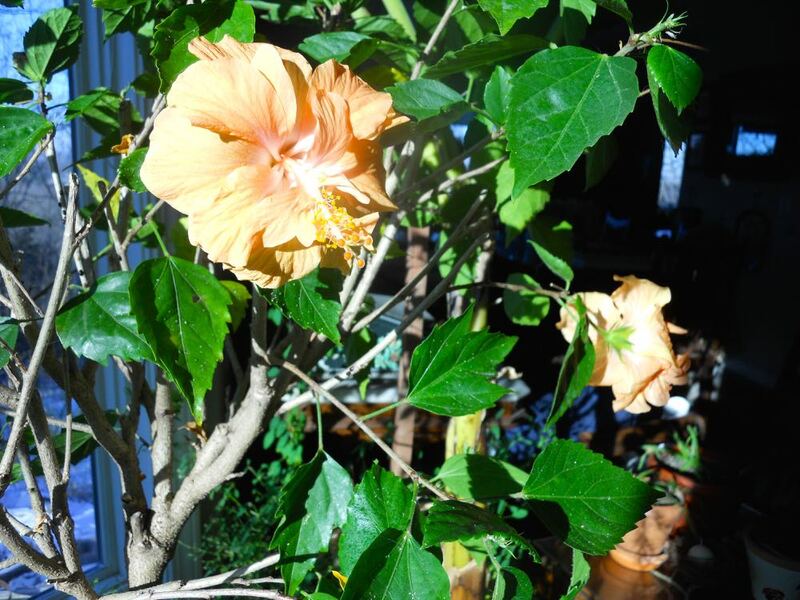 The trick to wintering tropical hibiscus plants is to give them as much direct sun as possible. I also check the soil daily to make sure the plant pot doesn't dry out. Tropical hibiscus winter over inside well as long as they get sunlight. Combined with the other neighboring plants, the blooming peach tropical hibiscus does bring a lovely color to that corner of my room!